Westporters have a special relationship with the New York Times crossword puzzle. 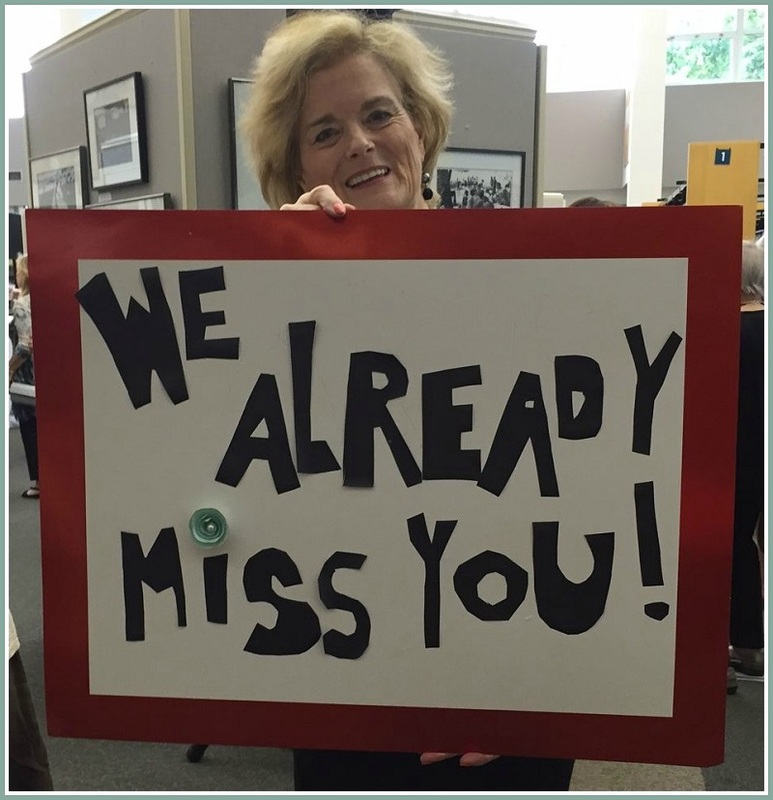 When library director Maxine Bleiweis retired in 2015, Shortz showed up — and presented her with a specially created, “MB”-themed puzzle. 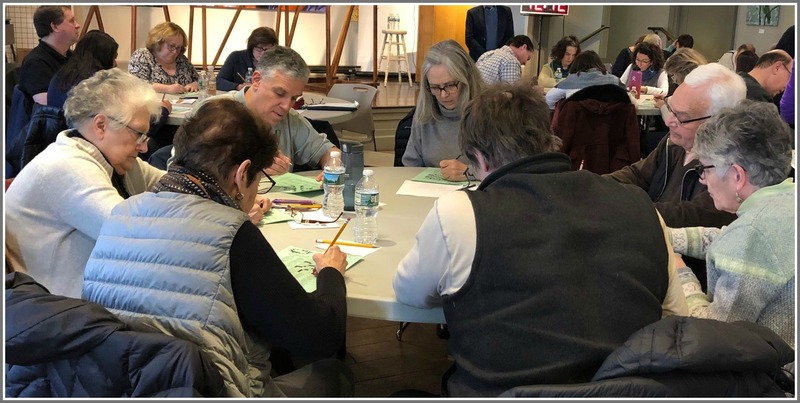 Two months ago, “Westport” was even the answer to a clue — “Affluent Connecticut town” — in a Times crossword puzzle. But our special relationship goes only so far. To be published by the paper, a puzzle must be good. Very good. Alan Southworth’s is. Which is why — ta-da! 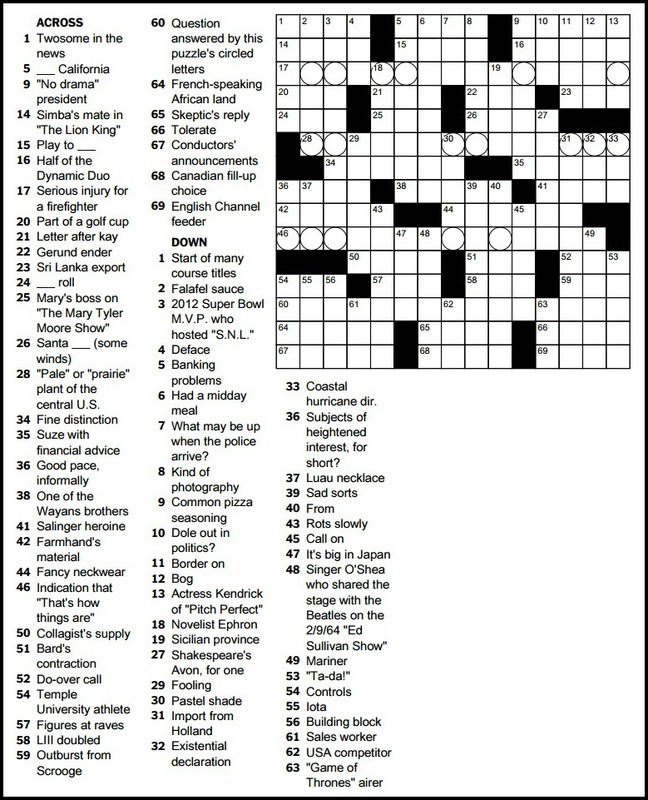 — the 2010 Staples High School graduate makes his debut today as a New York Times puzzle constructor. 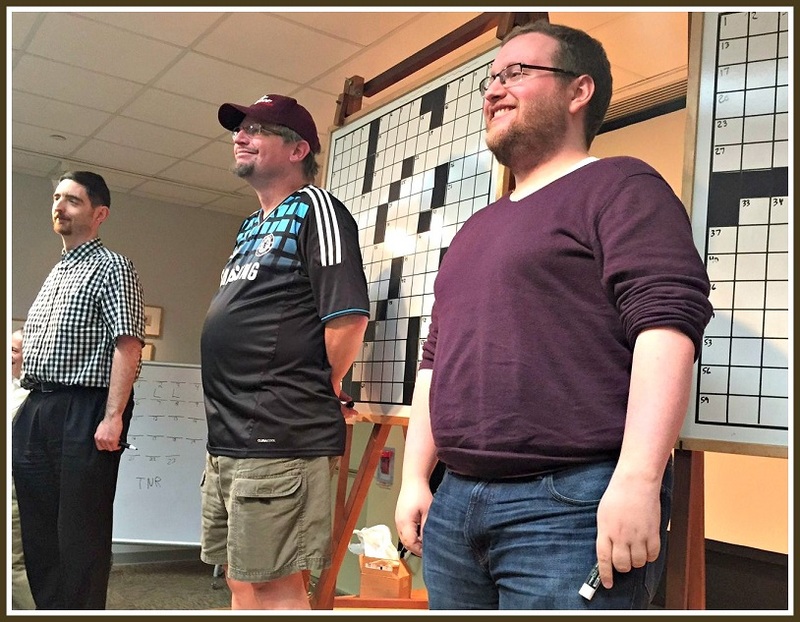 Alan Southworth (left) and Will Shortz, at last year’s Westport Library crossword puzzle contest. The best constructors know a lot, about a lot of things. They have varied interests. Southworth definitely does. At Staples he sang with the Orphenians, joined the jazz band, competed on the math team, and played freshman basketball. At Princeton he majored in geosciences (and was certified in sustainable energy and environmental studies). He works now as an energy market consultant, in a Manhattan firm run by 2001 Staples grads Gabe Phillips and Jonathan Spivak. In his spare time, he plays singer-songwriter gigs around the city. Southworth always loved words. He grew up playing Scrabble and Boggle with his mom, and relaxed before bed with Sudoku and KenKen. In college, he discovered crosswords. He and his friends challenged themselves with the Times puzzle in the dining hall. After graduation, he commuted nearly 2 hours each way. Vowing to be as productive as possible, he spent his train rides writing song lyrics. That soon morphed into crossword theme ideas. His college friend Ryan McCarty had a couple of puzzles accepted by the Times. He wanted to collaborate. So Southworth devised themes. McCarty did most of the grid construction. Together they wrote clues. They’ve kept a Google Doc of puzzle ideas ever since. Their first 2 puzzles were rejected. This one was accepted, Southworth thinks, because the theme answers were a bit “cleaner,” and the grid more open (fewer black squares in the middle). Southworth has a digital subscription to the Times. But today he’ll buy a dead-tree copy of the paper — and make copies for his co-workers. Here in Westport, his parents have promised to save their copy for him too. Today’s New York Times crossword puzzle starts easily. 1 Across: “Home to Santa’s workshop.” 4 letters. Hmmm…”North Pole” doesn’t fit. So…just “Pole,” right? Okay. 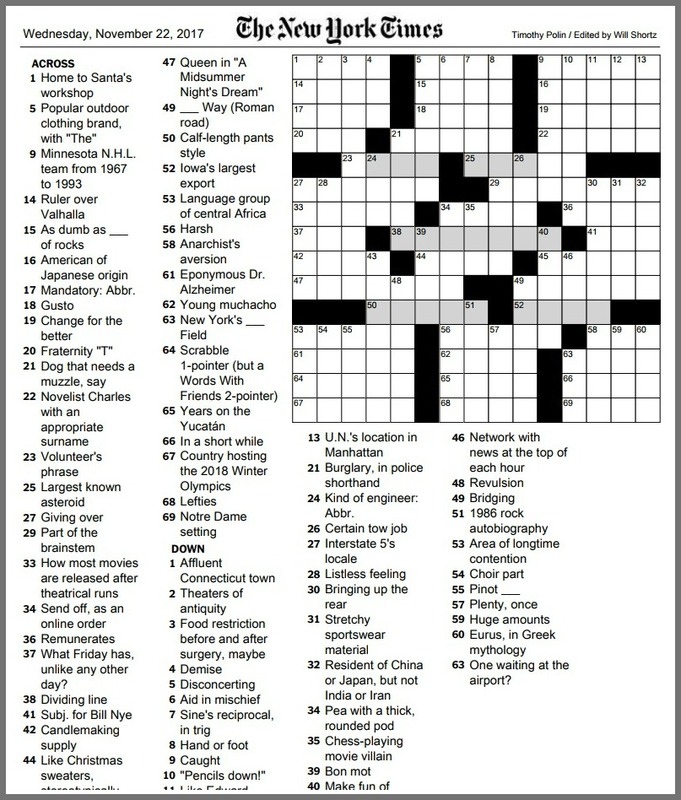 1 Down: “Affluent Connecticut town.” Also 4 letters. I’ll try the next one on the top line. 9 Across: “Minnesota NHL team from 1967 to 1993.” That’s simple: “North Stars.” But wait — there are only 5 letters. So…just “Stars,” no? Oh yeah! Because they’re on the top line — in other words, the “North”! Let’s check it out. 67 Across is “Country hosting the 2018 Winter Olympics.” I haven’t paid attention yet, but I’m guessing it’s not South Africa. What about…South Korea? Yep — there are 5 squares. Bingo! Which would make that “affluent Connecticut town” — the one with only 4 letters, starting with a “P” — “Westport”! It’s a clever crossword. And I’ll be sure to thank Times puzzle editor Will Shortz for it personally, next February. 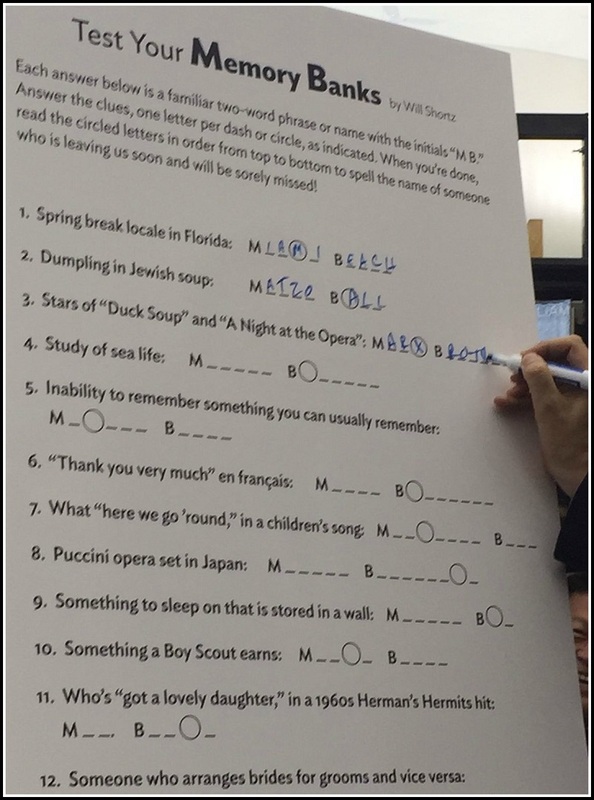 You know — when he makes his annual appearance at the Westport Library Crossword Competition! 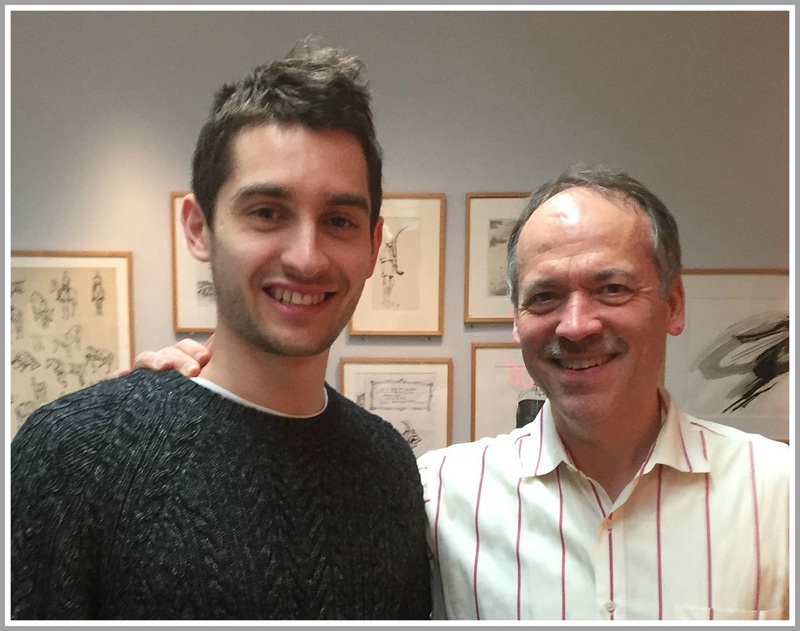 Will Shortz at the Westport Library, last February. It wasn’t quite curling up with the New York Times crossword. More like racing through it, trying to beat dozens of other crossword aficionados. 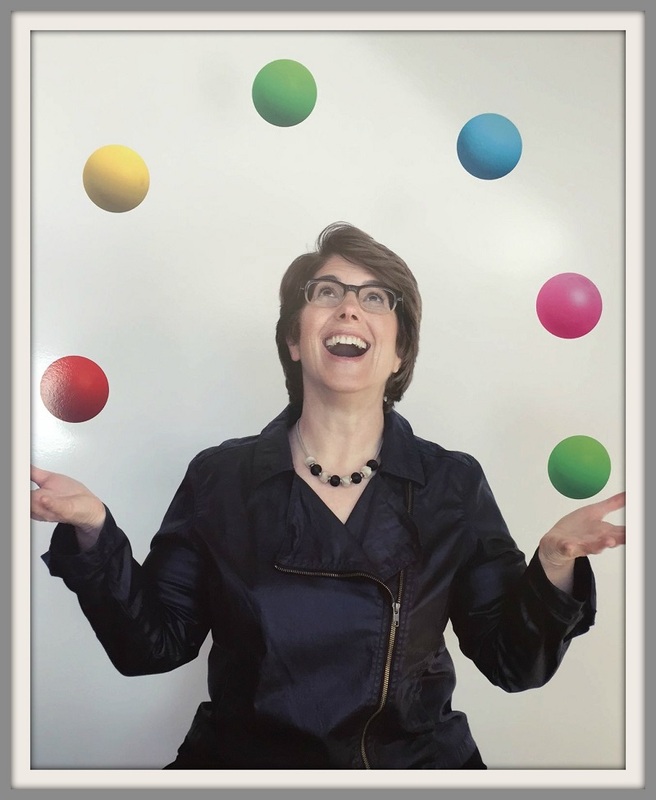 The grand prize: A book (about words) donated in your name to the Westport Library. Your name on a new plaque. And — 24 hours before the Super Bowl — the knowledge that you’re a champion in a competition using (instead of destroying) brain cells. 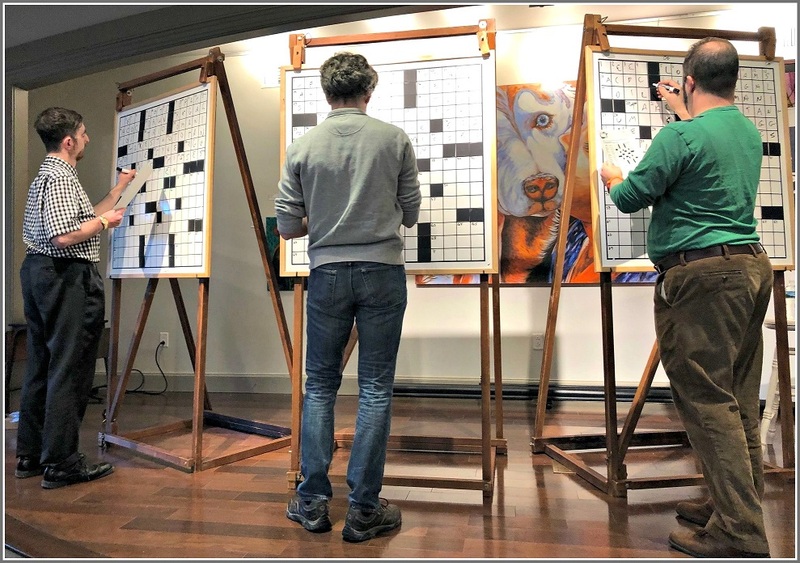 It happened this afternoon: the Library’s 18th annual Crossword Puzzle Contest. Jeff Wieser was ready for the Crossword Puzzle Contest. The countdown clock is in the background. There were 3 preliminary rounds, of 20 minutes each. I was there for the 1st time. The McManus Room was filled with fellow puzzlers. Many had come to previous contests. A few had been to every one. Eric Maddy came all the way from Huntington Beach, California (and wore shorts). He seemed to know a lot of folks. Crossword solvers have created quite a community. But there were plenty of familiar faces. Sitting across from me was Jeff Wieser, CEO of Homes With Hope. On my right was Alan Southworth, the 2010 Staples High grad/musician/marathon runner/crossword creator (he hopes Will Shortz will select one of his puzzles for the Times). 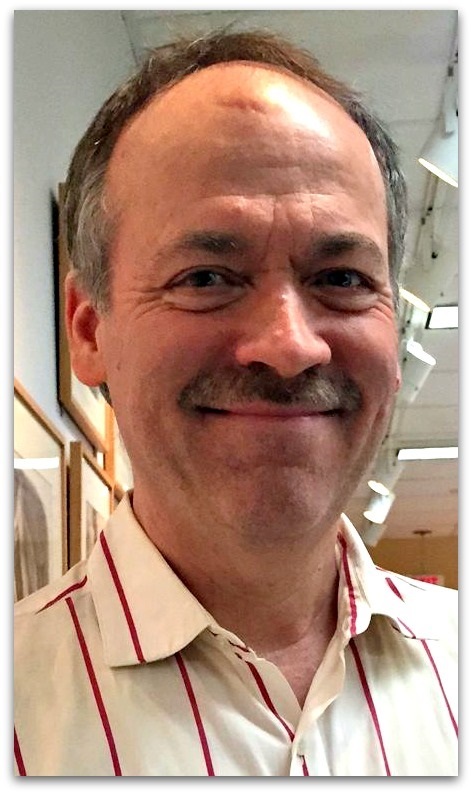 Will Shortz: New York Times puzzle editor, Westport Library contest host, all-around cool guy. Shortz himself — the Times puzzle editor/NPR host/Indiana University enigmatology major — was at today’s contest too. He served as the genial, wisecracking, challenging host. The diverse, high-energy crowd was perfect for Shortz. And he had 3 strong puzzles — a Monday, Tuesday and Wednesday (in ascending order of difficulty) for us. I did not win. I did not make the cut as one of 3 finalists. I am, however, extremely proud to say that I did receive a perfect score on all 3 puzzles. I earned a certificate for that, signed by Will Shortz himself. A couple dozen others got certificates too. It was that kind of group. And that kind of only-in-Westport afternoon. PS: The 3 puzzles will be published in upcoming Times editions. Will gave us the back stories about them. One is by the youngest creator in Times history. When we heard that, no one in the room felt smart at all. You might even call us clueless. The 3 finalists. Andy Kravis (right) of New York City won, finishing a Friday puzzle in a blazing 4:50. Eric Maddy (center) was 2nd. He came all the way from California — and received a Westport Library tote bag in appreciation. The New York Times is the gold standard of crossword puzzles. If you can solve one, you feel pretty good. If you can actually create and sell one to Times puzzle editor Will Shortz, you feel even better. Ryan Milligan did just that. His crossword puzzle was published today. Not too shabby for a 25-year-old. Then again, while at Staples High School he was already making crosswords. He got the bug helping his dad, Marty, solve the Times puzzle before school each morning (Ryan’s specialty was French clues). Soon, he was solving them on his own — on the bus, or during free periods. 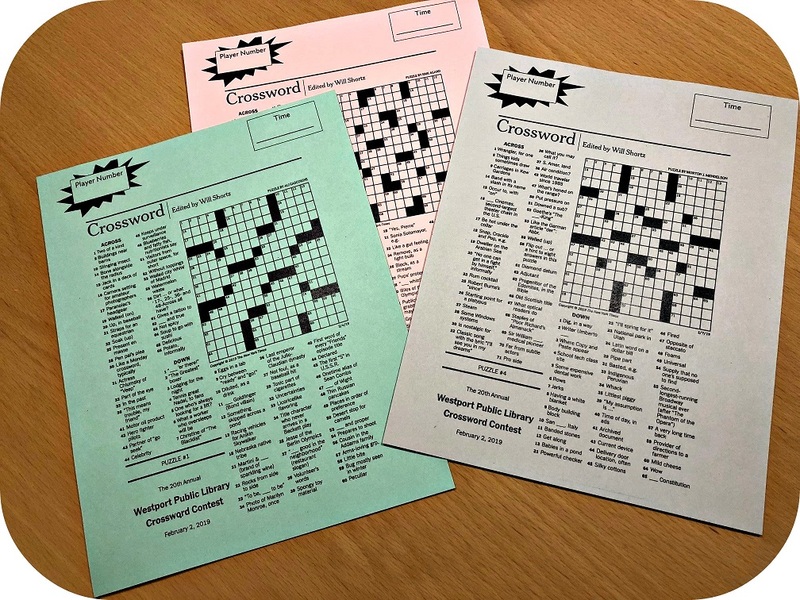 Starting as a junior, the Class of 2008 member created one crossword a week. He’d print 150 copies, and leave them in the lobby. By lunchtime, they’d be gone. His first puzzles, he admits, were “truly terrible.” Over the years, he honed his craft. He learned to fit the Times standard: 180-degree symmetry, fewer than 40 black squares, fewer than 78 words, no 2-letter entries, etc. Ryan submitted his 1st puzzle to Shortz as a senior. It was rejected. So were the 10 or so that followed. But the puzzle editor has been “an incredible mentor” over the past 8 years, Ryan says. Shortz always gave full explanations for the rejection. Usually the theme was tired, or had been used before. SPOILER ALERT: Today’s theme is “Hidden in plain sight.” The word “hidden” is hidden in the 1st long across row. The words “in plain” are hidden in the 2nd long row; the word “sight” is hidden in the 3rd one. The 4th long across row reveals the overall theme. Shortz is a hands-on editor. He changed some of the long across answers, then pulled in Frank Longo to rework the puzzle a bit more. Ryan is not resting on his laurels. He creates a crossword every couple of weeks, submitting those he feels are print-worthy. 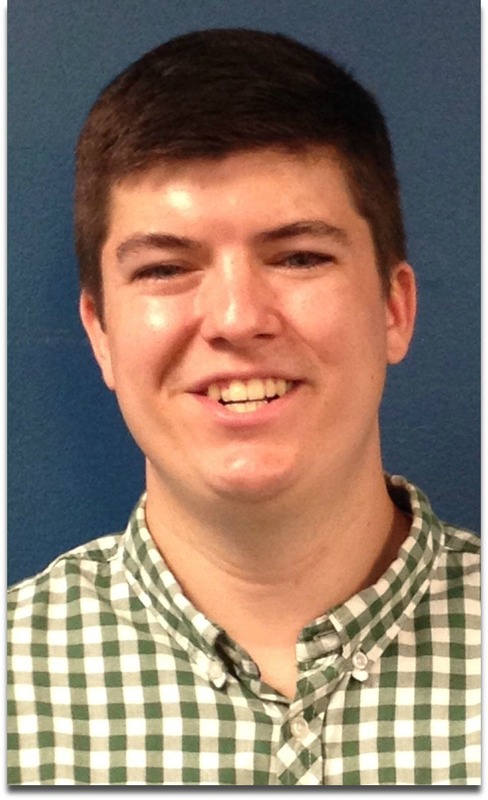 The Dartmouth graduate works in marketing for Wayfair.com, an online furniture retailer. He lives in Boston. Today he’ll walk around the city. Perhaps he’ll see someone trying to solve the puzzle he made. Few people read the constructors’ names; even those who do won’t know they’re working on “his” puzzle. Ryan Milligan will be hidden in plain sight. 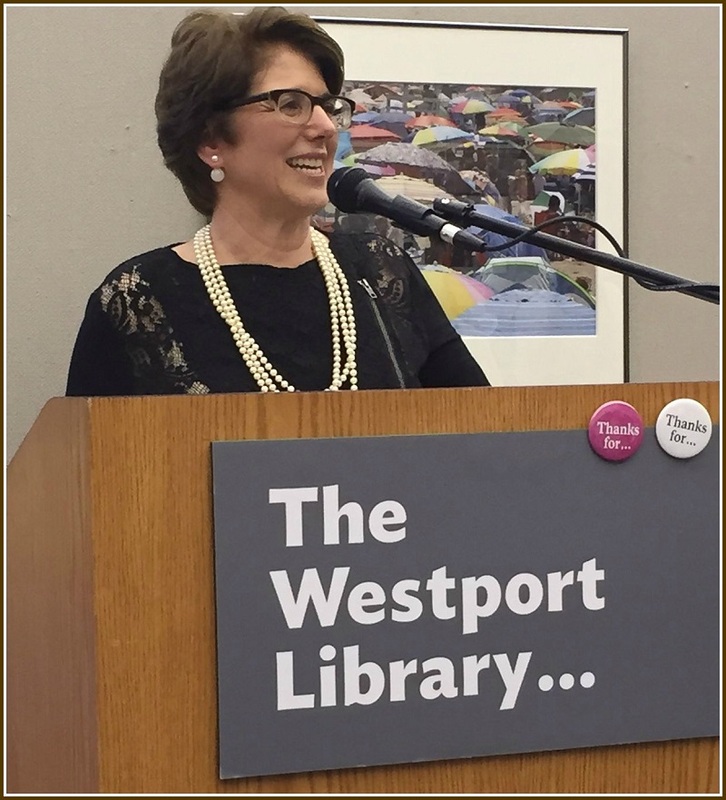 More than 400 of Maxine Bleiweis’s closest friends packed the Westport Library tonight, to bid a fond farewell to their favorite library director. 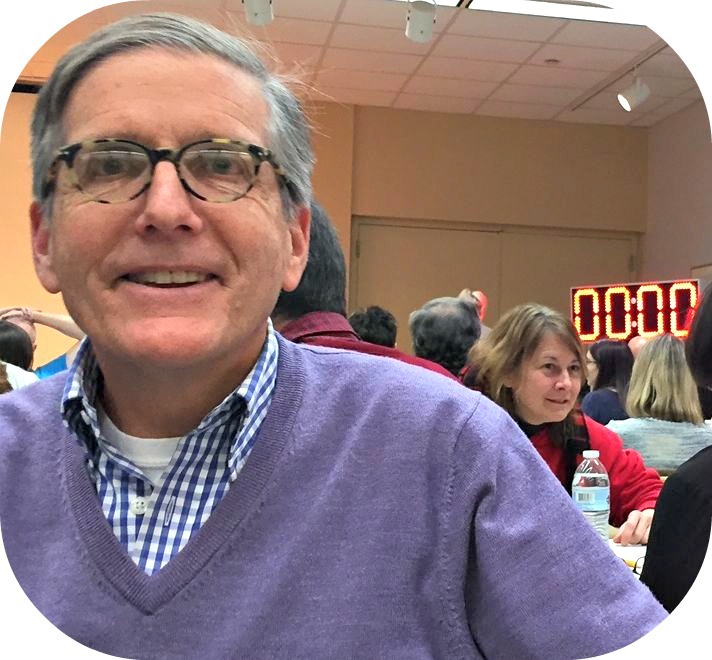 From the Maker Space (“people thought I’d lost my mind when I brought that in,” Maxine joked) to the tables where puzzles and chess sets often entice users, boldface names and “regular” patrons sat together — as they always do there. 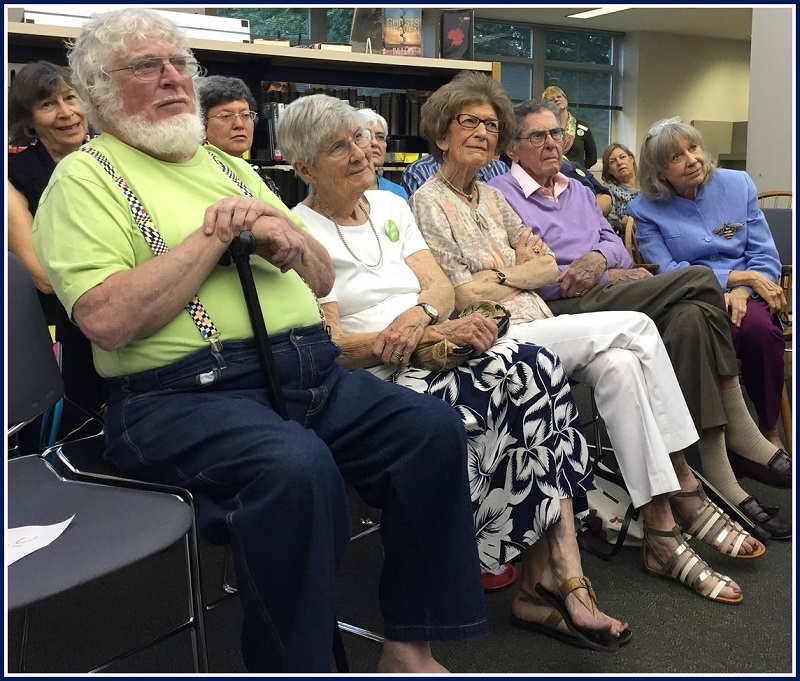 All were united in their love of the library, and the leader who is leaving after 17 years. Like Beyoncé or Pele, Maxine needs only one name. And like those superstars, she is one of a kind. Dianne Wildman expressed the sentiments of many in the crowd. A small part of the large crowd tonight. Some stood on the balcony above. 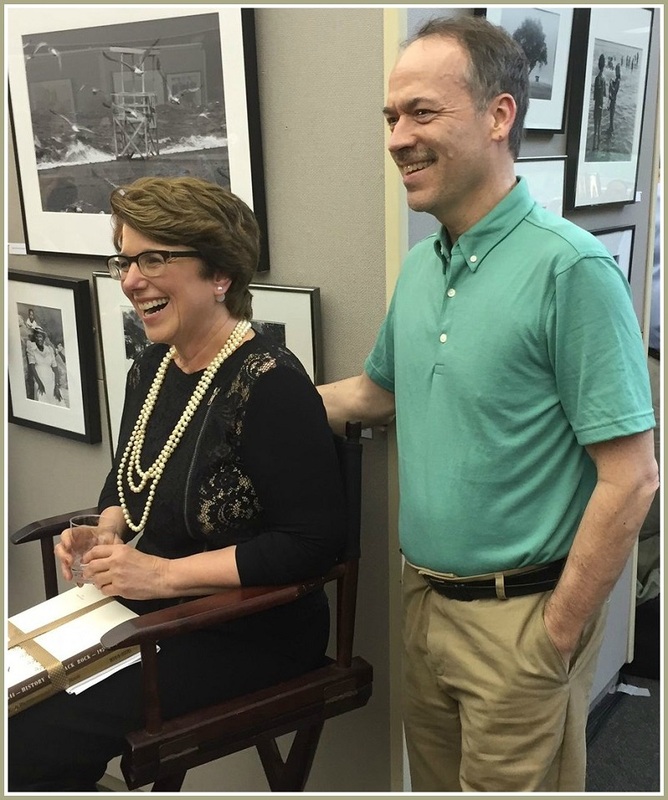 New York Times crossword puzzle editor Will Shortz presented Maxine with a special gift (see below). Shortz’s gift was a word game, in which every 2-word answer starts with the letters “MB.” Each includes a circled letter. When read in order, you’ll never guess what they spell! 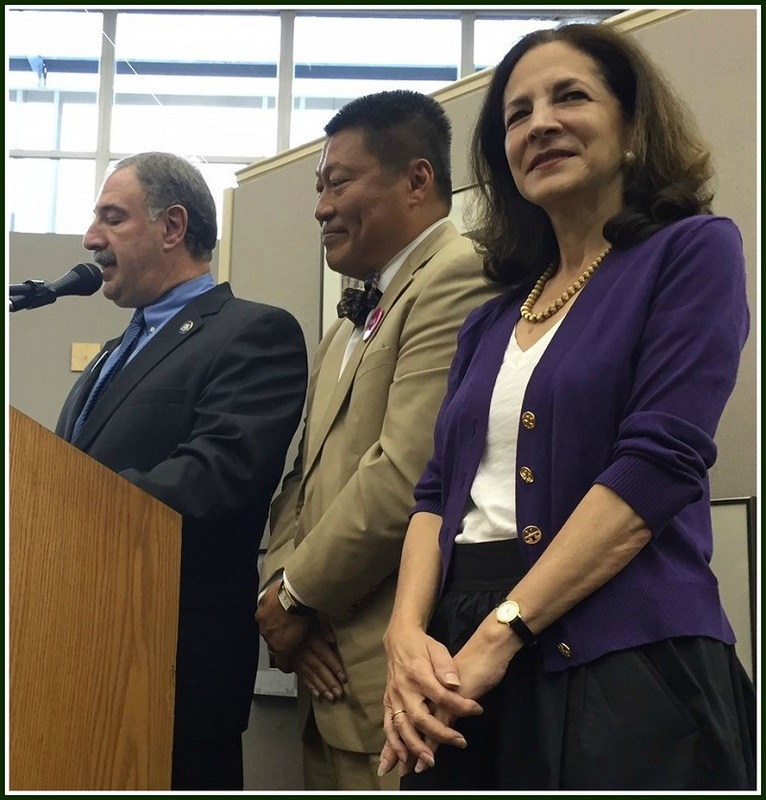 Westport’s state legislators Jonathan Steinberg, Tony Hwang and Gail Lavielle were in the house (Toni Boucher was also there, meeting a constituent). Steinberg presented Maxine with a proclamation signed by “a governor who tried to cut library funding.” Hwang praised her for educating him on the vital importance of public libraries. When asked what the title of his autobiography might be, he replied: Times Square. If that pun falls a bit flat, you’re 1 of the 3 Westporters who haven’t at least tried the New York Times crossword puzzle. Will Shortz at the Westport Public Library tonight. 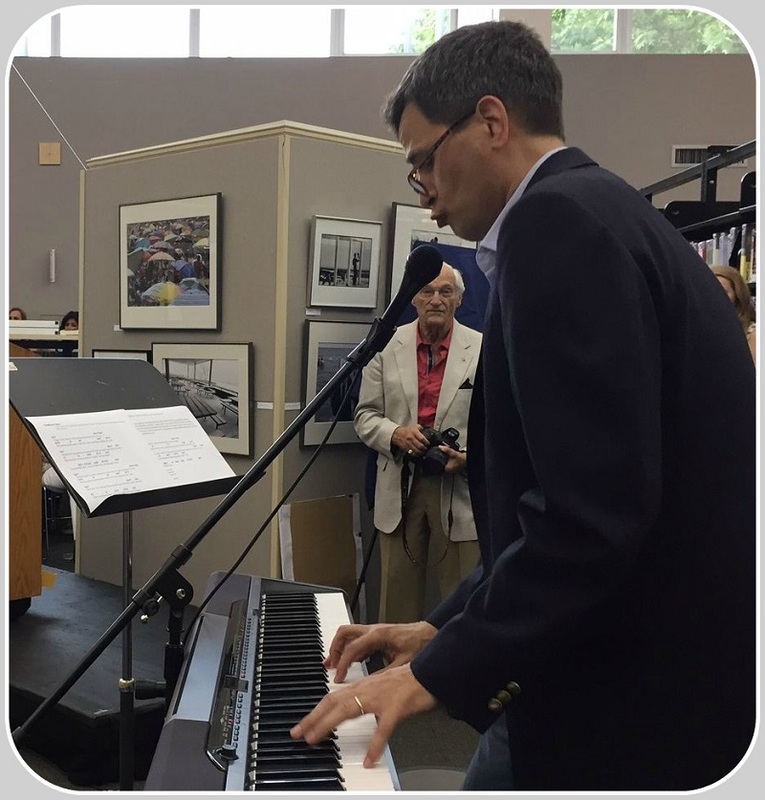 The rest of the town flocked to the Westport Public Library last night to honor Will Shortz at the 12th annual Booked for the Evening celebration. After music by the Doughboys; a Shortz-themed crossword puzzle by Times constructor Patrick Merrell; introductions by Phil Donohue and library director Maxine Bleiweis (battling pneumonia), and praise from Bill Clinton (via letter), the Times crossword editor/NPR puzzlemeister/Indiana University enigmatology major took the stage. If I was half as clever as Will Shortz, I’d be a very happy man. Tom Brokaw, E.L. Doctorow, Calvin Trillin, Wendy Wasserstein, Pete Hamill, Martin Scorsese, Doris Kearns Goodwin, David Halberstam and Will Shortz. The list is broad and diverse: authors, historians, a TV newsman, a playwright, a film director. 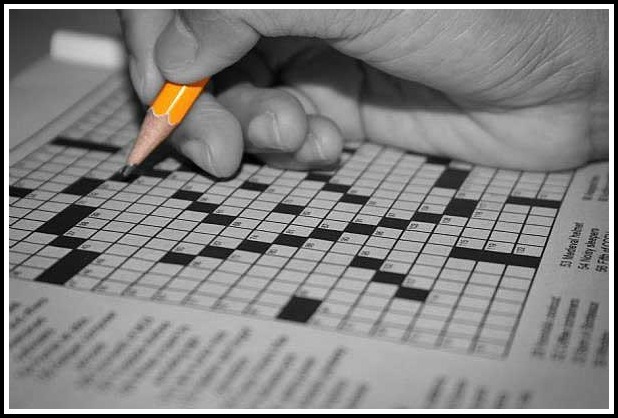 On Thursday, May 27, the Library adds “crossword puzzle editor” to the list. Like previous “Booked for the Evening” honorees, Shortz loves words and language. His forte is unique — games — but he is adored by millions of Americans for the joy he takes in puns, puzzles and wordplay. He is sui generis — the only person in the world with a degree in enigmatology (“the study of puzzles”). He also earned a law degree from the University of Virginia, a factoid that must delight hard-core fans (and puzzle his parents). 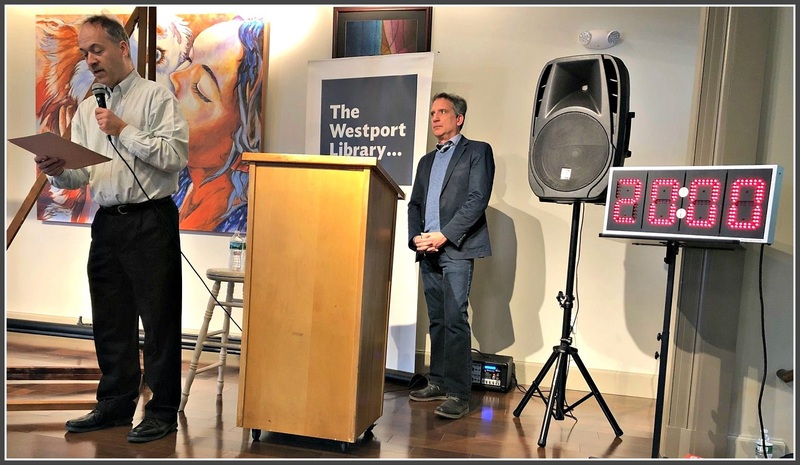 Shortz — who in his spare time is puzzlemaster for NPR’s “Weekend Edition Sunday” — has a long relationship with libraries in general, and Westport’s in particular. 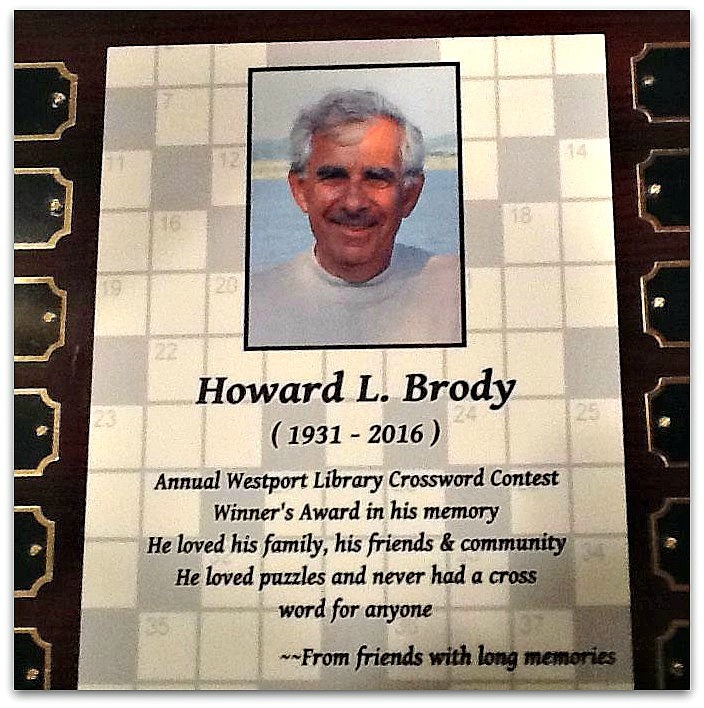 In 2001 he agreed to provide puzzles for the Westport Library’s 1st crossword championship. Ten years later, he’s still at it. The “great time and great people” keep drawing him back. And if he were to clue “Westport” into a puzzle? Sort of like: Town whose library honored a puzzlemaster in 2010.